The rifles are cleaned, gear put away, wall tent hanging in the basement canvass drying, deer in the freezer... Ready to go ice fishing, dec. 22nd where's the ice??? Wow! Took a ride around today, Grand Portage Lake had open water in the middle same with Mercer Lake I'm sure a lot of others. 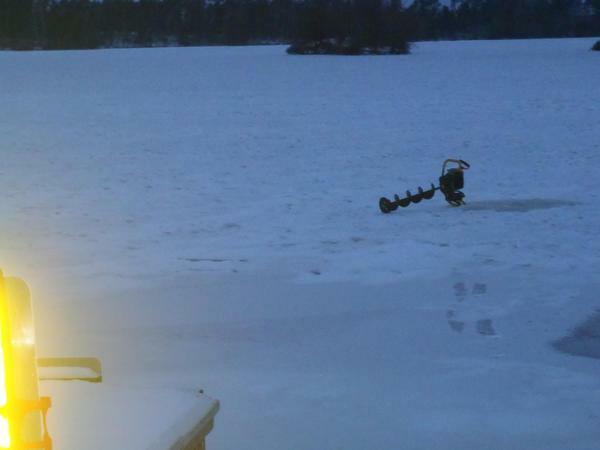 Drove to Fisherman's landing slowly walked out with drill, drilled a couple holes, 4-5" of what I consider to be poor ice. The ice was white, broken up and refroze (not a word?) not solid hard black ice. No one was parked at the landing out fishing. Thirty years ago would I be out fishing? of course, however one does hope to pick up a little wisdom along the way. I'm sure there are people fishing but somehow it's not computing favorably on my risk/ reward meter. 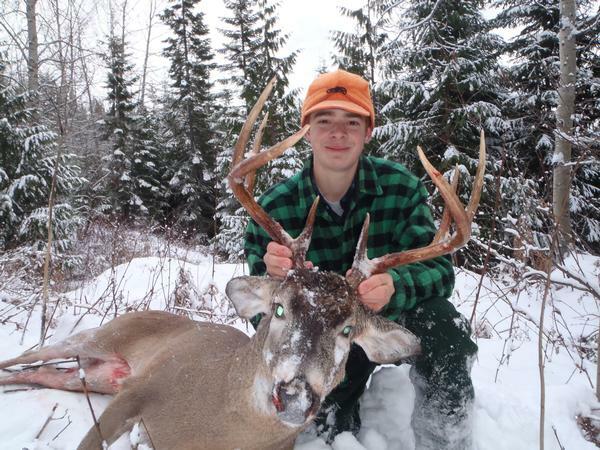 Besides I found a new passion the third picture is son Tom on our first trip to a western state (Idaho) hunting whitetails in the mountains, hope to be doing that for a lot of years. 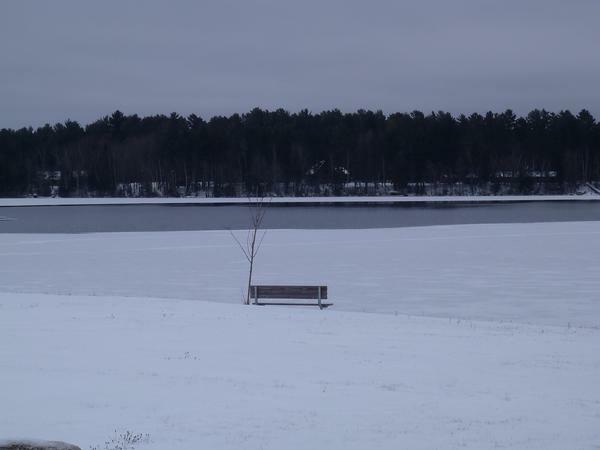 Seriously, thought it prudent to do this post I know a lot of people will be up between the holidays, the lake they may have a cabin on or staying at may be iced over but they may be driving snowmobiles over areas with only an inch or two of ice, same with the flowage. I would be very hesitant of going off of Springstead landing until we get some cold weather (32* today) because you are immediately in deep water. Heading to hometown to visit family for Christmas. I may be back fishing on the 28th, depending on the future weather, but will be proceeding with extreme caution, when venturing in water over 3' deep will be stopping and drilling a lot of holes as I go. I will post a report after the first day I fish.